Today is Albanian Alphabet Day celebrating the closing of the Congress of Manastir, an academic conference held in the city of Manastir (now Bitola) in Macedonia from November 14th to November 22nd, 1908, with the goal of standardizing the Albanian alphabet. November 22 is now a commemorative day in Albania, Kosovo, and the Republic of Macedonia, as well as among the Albanian diaspora. Prior to the Congress, the Albanian language was written using a combination of 6 or more distinct alphabets, plus a number of sub-variants. Which alphabet you use for a language is not a simple matter, even though it is a lot simpler than deciding on more general questions about writing the language, such as whether to use an alphabet versus a syllabary, or an abugida (alphasyllabary), or even characters that represent words rather than sounds (such as Chinese). Serbian and Croatian are mutually intelligible dialects of the same language, but the Serbs use the Cyrillic alphabet and the Croats use the Latin alphabet to emphasize their political differences. Any alphabet is as good as any other for phonetic purposes, but the social and political connotations of different alphabets matter a great deal to the people involved (not to mention the financial burden of changing from one to another). Imagine writing English using the Greek or Hebrew alphabets (which I have done sometimes as a way of disguising my writing when I wanted to keep it from prying eyes). It’s perfectly simple to do, but it would wreak havoc in English-speaking countries to change alphabets from the current Latin-based one. 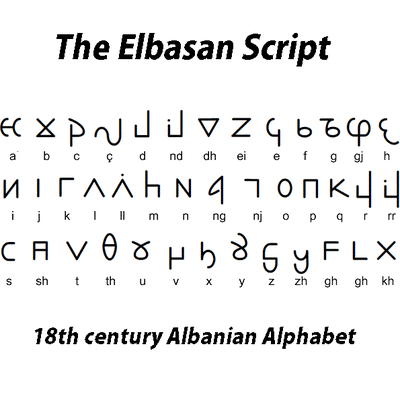 For Albanian scholars of the 19th century, the principle impetus for settling on one alphabet was to unify Albanians living in disparate regions who, at the time, were using completely different alphabets, making distribution of literature difficult, if not impossible. Their hope was that with a single, universally agreed-upon, alphabet, Albanian literature would grow in distribution, and flourish, and Albanian identity would be more unitary. But . . . which alphabet? Each one had its adherents for historical, religious, social, and political reasons. The Congress of Manastir was hosted by the Union Association (or Bashkimi), an Albanian literary society. It met at the house of Fehim Zavalani, which served as the headquarters of the Union. The Union already used an alphabet based on Latin, the Bashkimi alphabet, but it was not universally used, by any means, at that time. The participants in the congress were prominent figures of the cultural and political life of Albanian-speaking territories in the Balkans, as well as throughout the Albanian diaspora. There were 50 delegates, representing 23 Albanian-speaking cities, towns, and cultural and patriotic associations of whom 32 had voting rights in the congress, and 18 were observers. 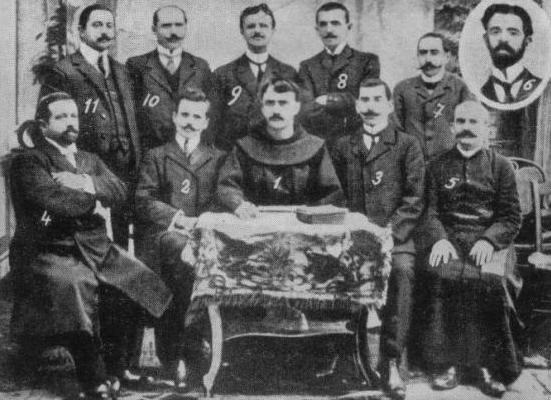 Among prominent delegates were Gjergj Fishta, Ndre Mjeda, Mit’hat Frashëri, Sotir Peçi, Shahin Kolonja, and Gjergj D. Qiriazi. Zavalani, gave the introductory speech and led the congress. I have not come here to defend any one of the alphabets, but I have come here to unite with you and adopt that alphabet which the Congress decides upon as most useful for uplifting the people. The audience was deeply moved by Fishta’s words. Hodja Ibrahim Effendi, who was a Muslim clergyman, rushed to Fishta and embraced him with tears in his eyes. At the beginning of the Congress, the delegates elected a commission consisting of 12 members (four Muslim, four Orthodox and four Catholic) to bring a decision before the full membership. The delegates took a besa (Albanian for “promise” or “act of faith”) to accept the decision of the committee. The committee deliberated on the question of a common alphabet for three successive days. It gave out a besa that nothing would be known before the ultimate decision. However, the Congress was unable to choose only one alphabet and opted for a compromise solution of using both the Istanbul and Bashkimi alphabets with some changes to reduce the differences between them. As you can see from the table below, the Istanbul alphabet is a mix of Greek and Latin (with a few Cyrillic bits), whereas the Bashkimi alphabet is mostly Latin with some modifications to accommodate Albanian phonetics. Usage of the Istanbul alphabet declined rapidly after the congress and it became extinct over the following years when Albania declared its independence. The Bashkimi alphabet is a close forerunner of the official alphabet of the Albanian language in use today. 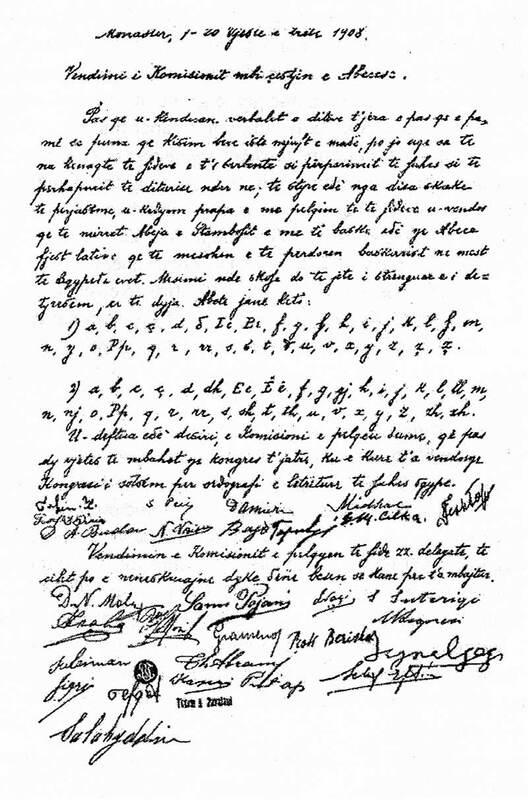 Gjergj Fishta noted at the congress that the German language had two written scripts to console those disappointed because there was not one alphabet chosen but two. After some discussion, all the delegates accepted the decision to use both Bashkimi and Istanbul alphabets. It was agreed to hold another congress in Yanya on 10 July 1910. The adoption of a Latin-based Albanian alphabet was considered an important step for Albanian unification. Some Albanian Muslims and clerics (who, with the Ottoman government, preferred an Arabic-based Albanian alphabet) voiced their opposition to the Latin alphabet on the grounds that it would undermine their ties with the Muslim world. For the Ottoman government the situation was alarming because the Albanians were the largest Muslim community in the European part of the empire outside of Istanbul excluded. The Albanian national movement was proof that Islam alone could not keep Ottoman Muslims united. In a panic the Ottoman state organized a congress in Debar in 1909 with the intention of making Albanians there declare themselves as Ottomans, promise to defend its territorial sovereignty, and adopt an Arabic character script for Albanian. However, they faced strong opposition from nationally minded Albanians who took total control of the proceedings. While the congress was in progress Ottoman supporters orchestrated a demonstration in Tirane voicing opposition to the Latin alphabet, the local branch of the Bashkimi club, and the Manastir congress. 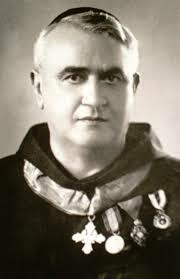 Talat Bey, the Ottoman interior minister, claimed that the Albanian population supported use of the Turkish alphabet and were opposed to the Latin one. The Bashkimi club, however, did not stop publicly advocating for the Latin alphabet and organized a second congress in Elbasan with 120 attendees. Due to the alphabet decision by the Congress of Manastir, as well as other concerns about Young Turk policies, relations between Albanian elites and nationalists, on the one hand, and Ottoman authorities, on the other, broke down. 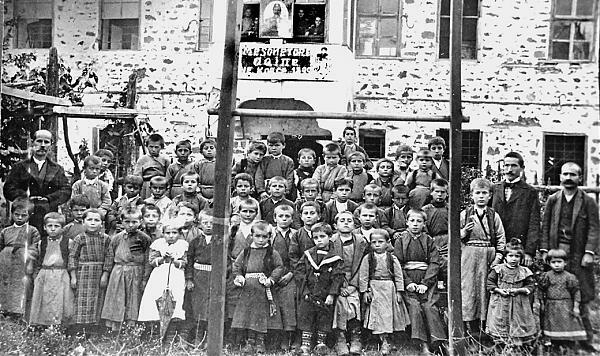 Although at the outset Albanian nationalist clubs were not curtailed, their demands for political, cultural and linguistic rights eventually made the Ottomans adopt measures to repress Albanian nationalism which resulted in two Albanian revolts in 1910 and 1912, helping precipitate the end of Ottoman rule. The Congress of Manastir is one of the most important events for the development of an independent Albanian culture. In 2008 festivities were organized in Bitola, Tirana and Pristina to celebrate the 100th anniversary of the congress. In Albania, Kosovo and Albanian-majority areas in Macedonia in all schools the first teaching hour was dedicated to honor the Congress and instructing students about its importance. Albanian cuisine is, as you might expect, diverse with strong influences from Italy, Greece, and Turkey. 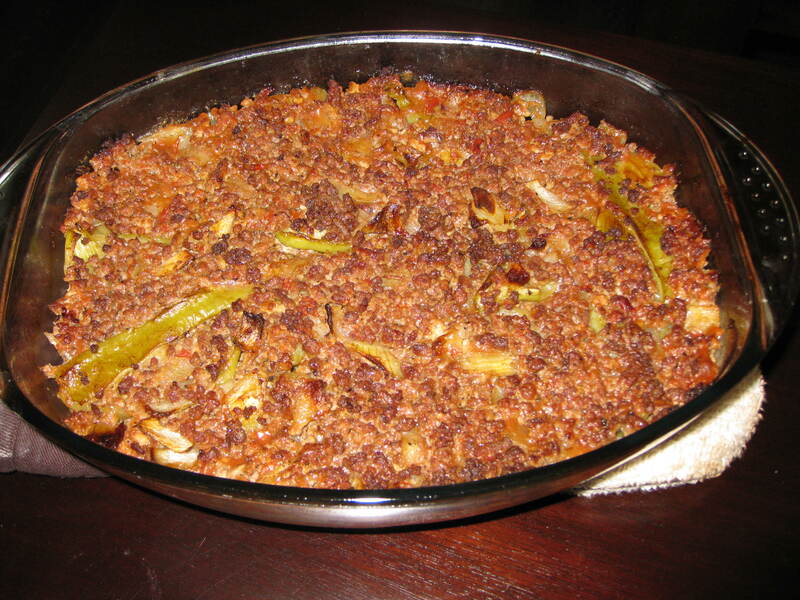 Here is tavë me presh (leek casserole), baked leeks, ground lamb, and roasted red peppers. I’m very fond of this combination, and this dish is distinctively Albanian despite its eclectic origins. Preheat the oven to 350˚F/180˚C. Heat a tablespoon of olive oil in a large, heavy skillet over medium heat and sauté the leeks until the take on a little color. Stir frequently to ensure an even color. Place the leeks in a baking dish. Sauté the onions in the same skillet over medium-high heat until they are translucent. Add the ground lamb and brown it thoroughly. Add the red peppers, garlic, lamb stock, paprika, and salt and pepper to taste. Bring to a slow boil, stirring to mix the ingredients. Let the skillet simmer for 2 minutes. Pour the contents of the skillet into the baking dish with the leeks and stir to mix thoroughly. Bake uncovered for one hour.